Looking for private in-home or in-studio Viola lessons? Our Pearland teachers are ready to get you started. Find your teacher today! Learning to play a string instrument is tough but the payoff is so worth it! My Teaching Philosophy instills the basics of an instrument by developing focus, musical understanding and physical motor skills. Regardless of age, each of these aspects must be cultivated in order to produce a healthy and stable musician. Learning focus, musicianship, and physicality requires a returning to the basics after higher skill sets have been attained. In order to play a piece of music, the student must have a stability and clarity of mind. This can be cultivated through short sessions (5-10 minutes) where the student focuses on their breath, and listens outwards to external sound. Based on age and maturity level, these meditations will vary– however the overall goal is a clear palate from which the music may be studied. The two basic components of a musical instrument include pitch and rhythm. Rhythm is logical and can be learned through basic exercises and fun games and apps. However, internalizing a rhythmic pulse in the body requires physical exercises such as dance or eurythmics. Because of this, I encouraged my students to enroll in dance classes! cess of singing with drones from a speaker to give the student a sense of how each pitch physically feels when sung in relation to the scales base note. String instruments can be thought of as a sport of the fine muscles. However, the larger muscle groups must also be maintained! I encourage my students to take part in some type of after school sport. In addition, I will go through basic stretches during each lesson that prevent injury and improve circulation. With application to the instrument, there are two main categories of physical-technical exercises, Bow Arm and Left Hand exercises. Bow Arm Exercises are meant to improve overall sound quality and increase flexibility. There are hundreds of these exercises, with just as many variations. I assign my students just a few each week with a specific goal in mind. 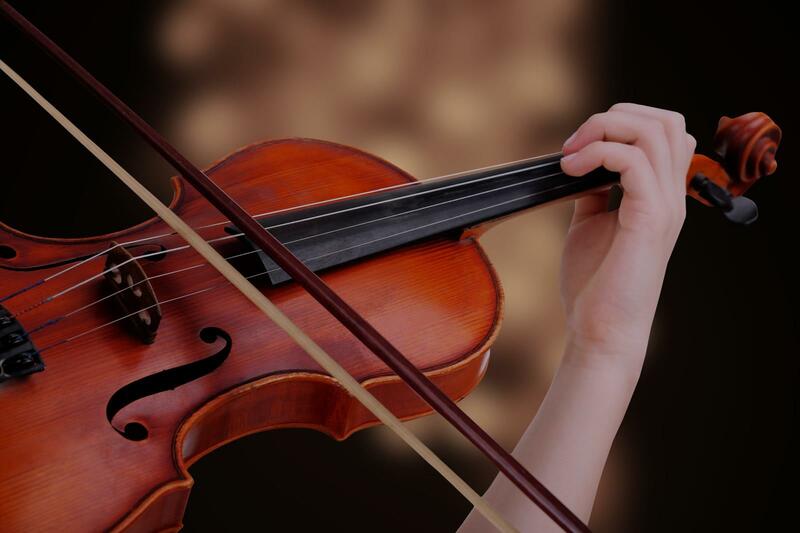 Left Hand Exercises are designed to improve dexterity, accuracy, and speed, while also correcting the hand’s shape, overall efficiency, and intonation. Again, my student receive new exercises each week in order to train the fine muscles and keep their practice fresh. I have several notions and techniques to help students learning a piece of music I break them down into a process that can be understood and carried forward by the student. They are picking a piece, creating learnable chunks, learning notes and rhythms (dynamics and articulation), understanding the form and message and performing.